Over the last few months I have written several times about my bathroom dreams and the 'wow' factor I am looking for. 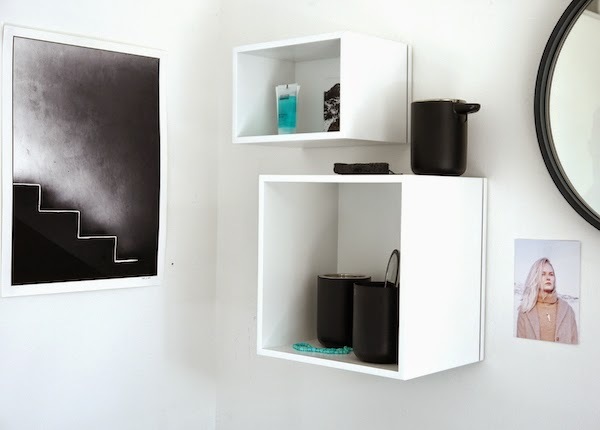 Renovating my home and finding beautiful concrete walls under layers of wallpaper and the use of large amounts of white paint really helped me to refine my taste over the last few years and transform my home in what it is today. 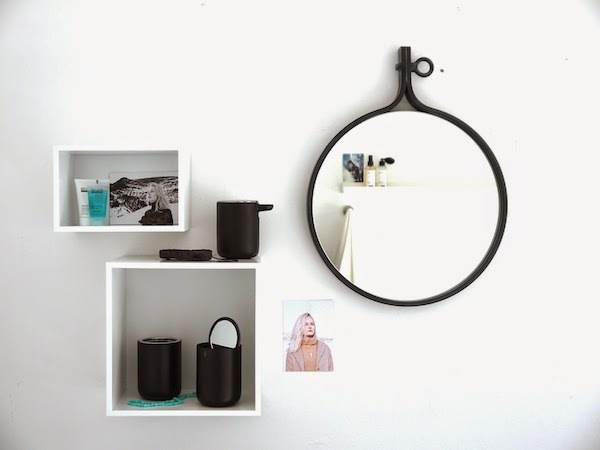 I am quite good in sticking to my plans of creating a bathroom that fits the rest of my home, with a bit of an industrial vibe and selected Scandinavian design. It will take some time before I start renovating my bathroom.... there is still the patio to finish first, but I made a little start. 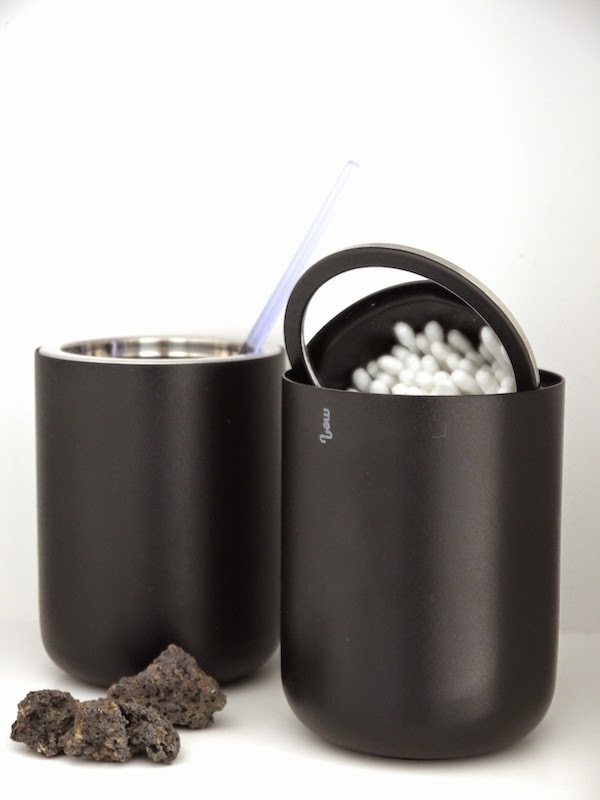 Bol.com is one of the largest online stores in the Netherlands where you can find almost everything you can think off. Their home department offers a great selection of furniture, home accessories, textiles and many more. 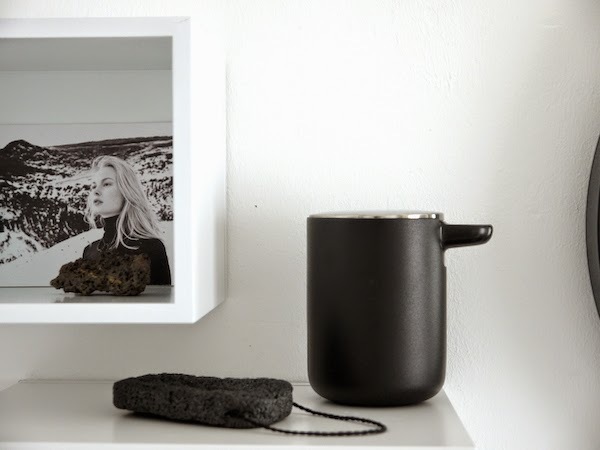 When they asked me to chose my favourite products from the 'Bol Wonen' (Bol Home) collection, I thought it was a great moment to upgrade my bathroom accessories. 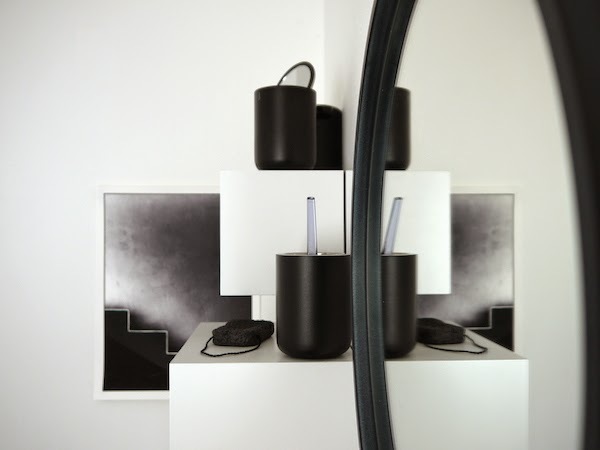 I chose a set of timeless black minimal Scandinavian design products by Danish Menu and an industrial looking mirror by Dutchbone. The New Norm Bath collection is designed by architects Jonas Bjerre-Poulsen and Kasper Rønn, of NORM Architects. 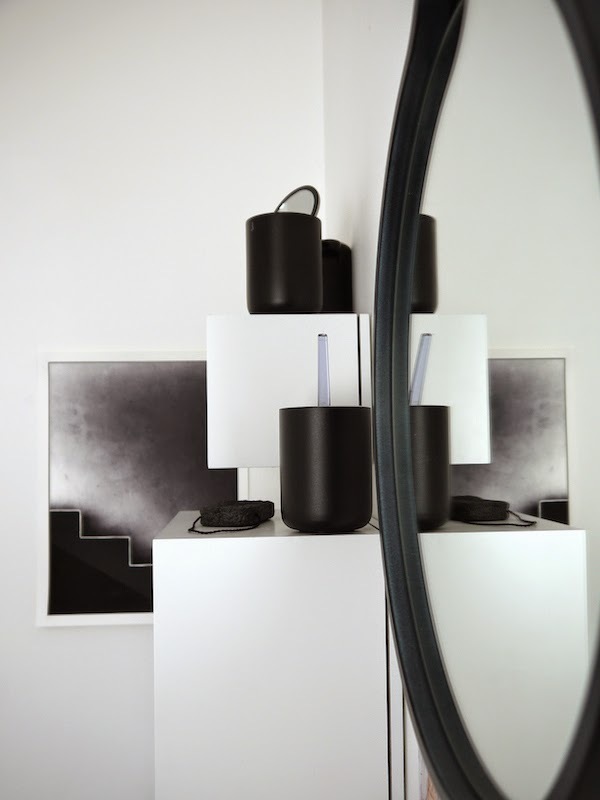 Mirror 'attractif' is made out of steal and has a sturdy bolt, adding an industrial look to your home.